Size matters. Buy the biggest TV that your room and budget permits. With smart features, more is not necessarily better. You might end up never using some of the features that you paid the extra buck for. With diminishing thickness of the TVs (and its speakers), sound quality has taken a hit. Consider buying an external sound system to get the best viewing experience. Although 4k Ultra HD TVs deliver better picture quality than 1080p TVs, the difference is hardly noticeable. Plus 4k content is currently rare. 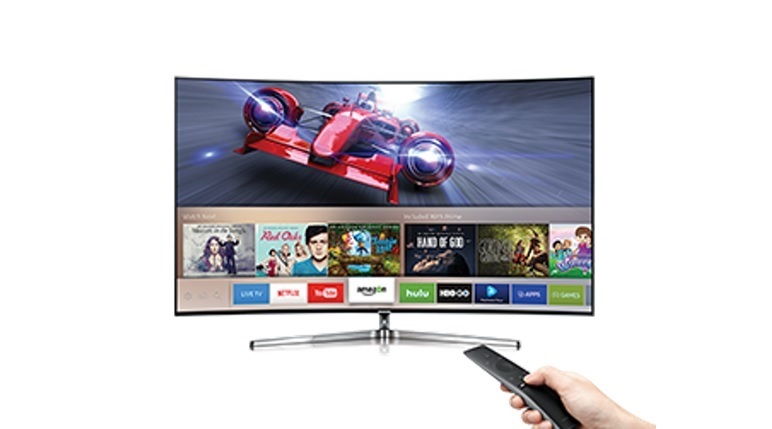 Curved TVs don’t really offer much in terms of better image quality, except for a curved scree which comes at a steep price. OLED TVs offer the best picture quality, but are expensive. Screen size is probable the most important factors while buying a television set. Choosing a screen size is determined mainly by the size of the room where you’re going to place the TV set and viewing distance. Go for a size that will fit comfortably in your room. At the same time choosing an ideal screen size also depends on the viewing distance, i.e. how close you sit to the TV. A viewing distance of at least 1.5 times the screen size (diagonal) is recommended. Resolution, in simple terms, describes the sharpness of the TV picture, usually in terms of horizontal lines of pixels. The most common TV’s that we find in market are usually 1080 pixels and that’s what is recommended. Talking about 4k, it makes the image look clearer and the text look sharper. This makes your experience better but still remember there are not many services yet that support 4k broadcast! ‘HDR’ stands for High Dynamic Range. The term originates in photography, and refers to a technique that heightens a picture’s dynamic range – the contrast between the brightest whites and the darkest blacks. But just like the 4k there’s currently little HDR programming available ! Then there’s refresh rate. This spec refers to the number of times per second that a video screen is updated. With a higher number yielding a smoother, more natural-looking motion (up to a point). So, do the bigger numbers matter? Actually, they can: Higher refresh rates on LCDs and OLED TVs – which, post-plasma, are pretty much the only two mainstream TV technologies left – can help decrease motion blur. Our advice is, don’t buy TV’s with refresh rate less than 120Hz. Both types of TV make use of a liquid crystal display (LCD), with the term ‘LED’ being the invention of Samsung marketing. Technically speaking, LEDs are LED-backlit LCD TVs. Ordinary LCD TVs use cold cathode fluorescent lamps (CCFLs) to provide backlighting, whereas LED TV’s use an array of smaller, more efficient light emitting diodes (LEDs) to illuminate the screen, which gives them a few advantages like a brighter display, better contrast and lesser heat disspiation. OLED is the only technology capable of absolute blacks and extremely bright whites on a per-pixel basis. Most new models have Ultra HD 4K resolution, but a few, cheaper HD OLED models are still around. Prices range from about $2,000 for a 55-inch HDTV to $5,000 or more for a 65-inch Ultra HD 4K model. Amazon Echo vs Echo Dot vs Amazon Tap: What’s the Difference?